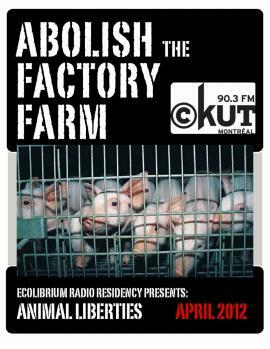 We’re excited to present the most recent Ecolibrium Radio Residency. This month the animal rights group Animal Liberties has been working hard to put together a episode on a variety of issues such as factory farming, phosphorous use in Canada, and more! The archived show can be found here. For more information about the Ecolibrium Radio Residency project, do visit the ERR blog.